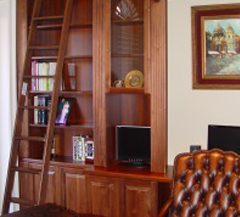 Theater Cabinets, Inc., designs exquisite home offices, kitchen cabinetry, and bookcases that complement your home or workspace. Based in Orlando, Florida, we ship nationwide. Our expertise extends to every room in your home, including kitchens and bathrooms. 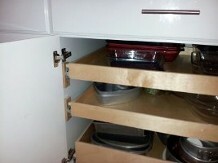 As always, we build cabinets and organizers to your exact specifications and customized to your style. Whether the unit is being installed to replace an outdated piece or as part of a major remodel, we meet your needs and provide a quality piece to your specifications. Our top priority is to construct pieces that coordinate with the room, the home, and the project. We want your furniture to flow naturally in the space, giving the illusion that it is a part of the original design. 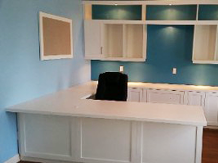 Our lead designer helps you create the best, most functional office cabinetry to accommodate all equipment and documentation. Our freestanding and built-in offices are as functional as our home theater cabinets and offer convenient wire management and access. 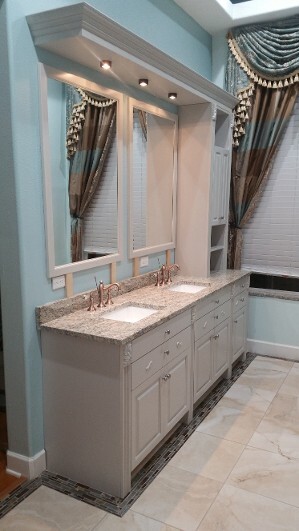 Choose from a wide variety of styles, shapes, colors, and finishes, including granite counter tops. New kitchen and bathroom cabinetry can update your home in an instant. Because each piece is individually crafted per your needs, you can choose to customize each bathroom to be distinct from one another and from the kitchen cabinetry, home theater unit, or home office or choose to coordinate rooms throughout the house. While many of our customers come to us because they want to achieve a certain look, some customers simply have unique organizational needs that must be met. We create cabinets that are simple in design, yet are innovative in function. 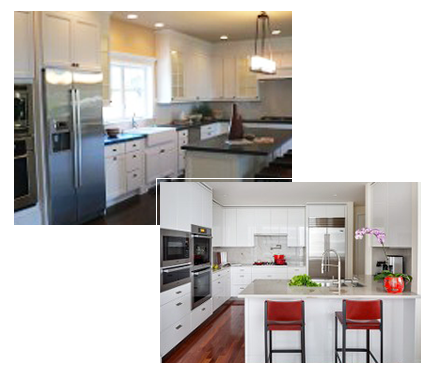 Contact us at (407) 694-1118 in Orlando, Florida, for functional and attractive kitchen, bath, and office cabinets.